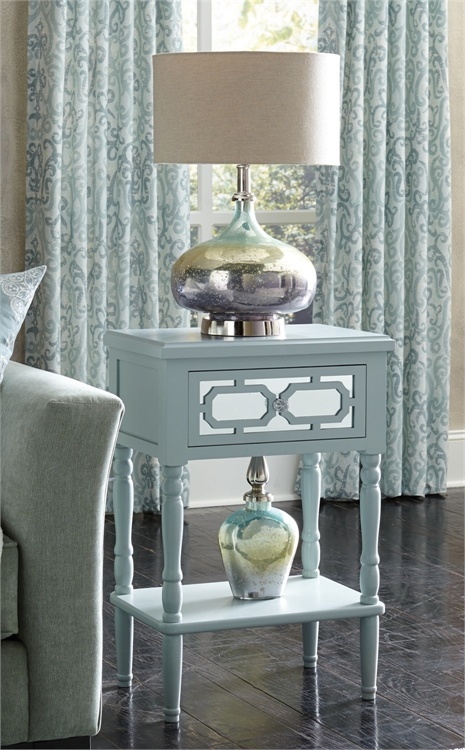 A contemporary disposition is what gives this end table its charm. This end table features a slide out drawer with a geometric design overlaying a mirror panel which is ideal for light storage. 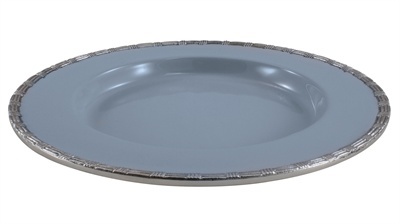 SKU: 4100-230. Categories: Furniture, Gold Coast, Spring. A contemporary disposition is what gives this end table its charm. 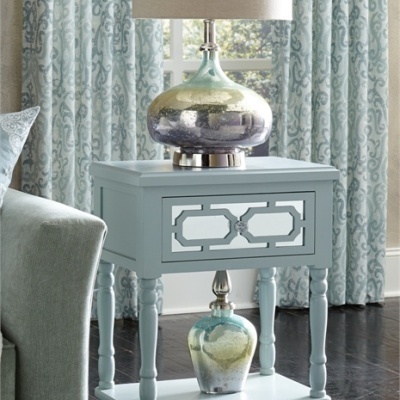 Finished in a soft seafoam taupe, this end table features a slide out drawer with a geometric design overlaying a mirror panel which is ideal for light storage.The bottom shelf provides the perfect space to openly display books, art, or treasured gems.